» Out of space ! My name is Benoit and I am a french mechanical manufacturing teacher. I use RPItc for developping a low price solution for programming NC machines next to it. It is off course for non commercial use and absolutely only for my students. 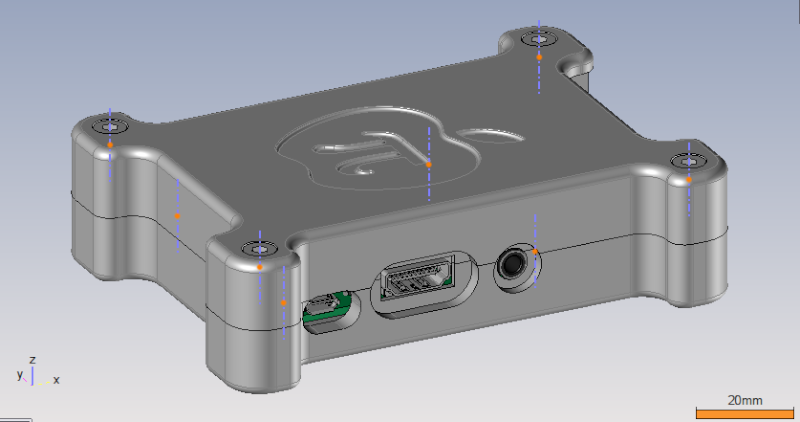 I have made a special case for it milled from solid called Apple Pi B+. The RPITC module will be connected next to the NC machine to a classic TFT computer screen as a normal PC. - LibreOffice (same as Open Office). But the problem is that my memory card is full. 0Mb/1.1Gb in the right up control panel. It is a little bit weird because my SD Card is a 16Gb one. Is it possible to extend the available memory space (I'm thinking about Gparted) ? Or am i just an idiot ? RE: Out of space ! I am trying to update the repository list but i need to be "root". I am still trying to do it. Thanks for your answer Sand ! I first tried to install raspi-config... Big fail ! 'Cause it won't expand the main partition. So second try : Gparted on a fresh new installation of RPiTC. Won't work anymore : you can't expand the main partition on the unformated space because it is impossible to merge it with the active partition. Third try, the good one ! I have installed Gparted on a Virtual Machine (VirtualBox) and i merged it very easily. I think it's good to know it for noobs... Like me ! Enfin surtout merci d'avoir laisser la soluce pour expand le FS sur le rpitc. Français: La communautée présente ici parle Anglais. Cela serait sympathique de faire de même. English: The community present here speak English. That can be very appreciated to do the same. Works perfect, the gparted tip sent me down the right path! And I found a utility disk that comes with gparted already installed so if anyone would rather just burn a cd (or usb) and boot off of it, rather than bring up a linux vm (for the windows users out there), it's just a couple more steps that's already taken care of for you.